Nintendo and select third parties came out of the gate swinging with the Switch, as it's not even a year old and there's a ton of different experiences for it. 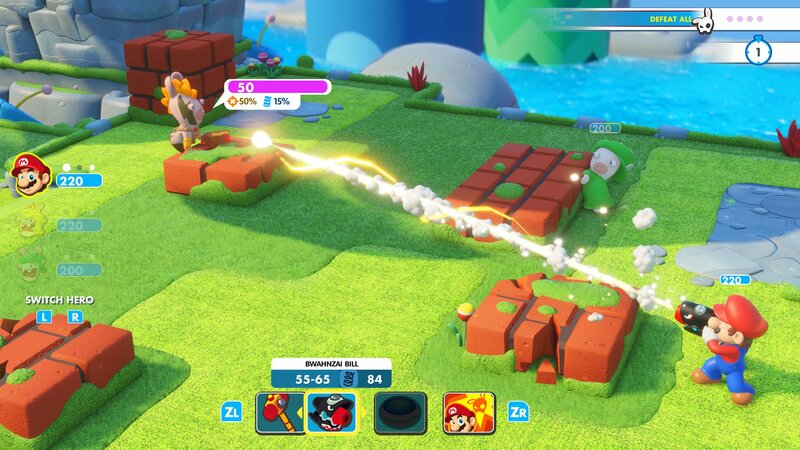 One such oddball includes Mario + Rabbids Kingdom Battle, a clever take on the turn-based grid strategy formula (commonly referred to as an SRPG). Since its launch in August it's hosted all sorts of DLC, both paid and free, including a recent versus mode and video sharing. I've said many times that every Switch game should include video capture standard via Nintendo, but if that's not going to happen, having third parties like Ubisoft and Yacht Club Games implement it as quickly as possible is the next best thing. As a reminder, Nintendo currently allows up to 30 seconds of capture time.